Thank goodness I never made this! I kept thinking that at some point years ago I had purchased yardage of bright pink and navy blue silk to make a dress, but I had never used it. 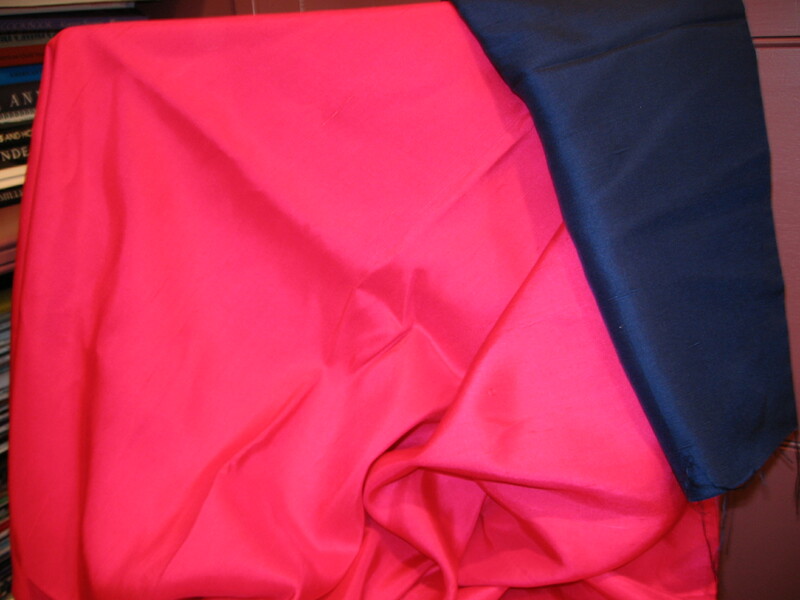 In my fabric closet I found three yards of pink Moygashel linen and a small quantity of navy blue linen, but I could tell from the odd shape of the blue fabric that it was just leftovers from some other garment (I think a navy blue suit I made for myself in the mid 70’s). So – I didn’t think this was the fabric I thought I was remembering. This was really bothering me and from time to time, I would look again in my fabric closet, hoping to find proof of my suspicions. I found lots of other fabric, but not what I was looking for. I had just about determined that I simply was mistaken, when just a few weeks ago, I came across an unmarked white bag in one of the drawers of the high chest in our living room. Now, I had looked in this drawer just recently, as it was stuffed with fabric scraps, some unfinished projects (I hate to admit this, but it’s true! ), and a few patterns. The white bag had just not caught my attention, as it seemed almost empty. I took a peek inside – and voila! Gorgeous pink and navy crepe de chine silk – and this God-awful pattern, which obviously I purchased to make up in pink and navy. No wonder I lost interest in sewing for myself in the 80’s!!! 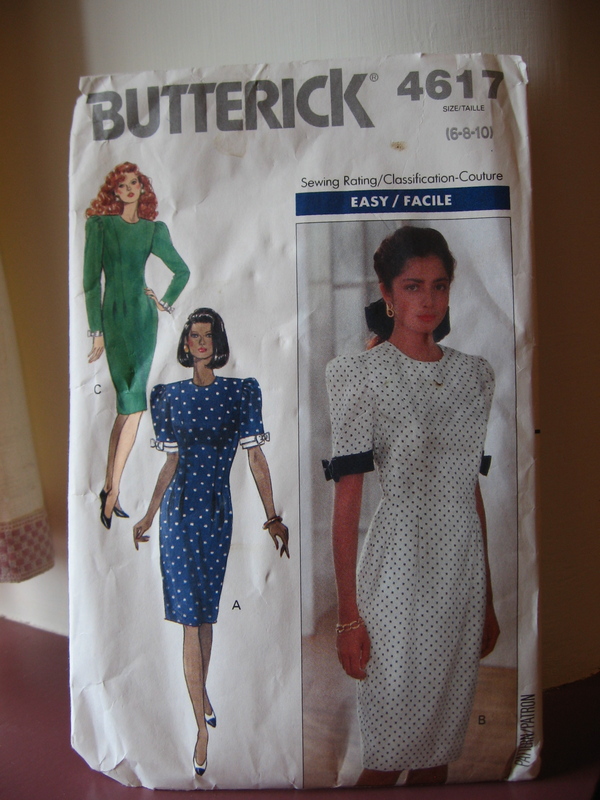 1980's Butterick pattern which I did not make - thank goodness! I am absolutely delighted to have rediscovered this fabric – there are about three and half yards of the pink and a half yard of the blue, and it has a fine hand to it. I still love the combination of these two colors, and in the right mid-century style, I think this fabric will finally one day meet its destiny! Quilting, antiques, seems that many things were pointing you in this wonderful direction, Karen! Site looks great, I can’t wait to see what follows. Your beautiful colors remind me of a glazed wool pieced quilt that I tried to buy several years ago. We always remember the ones that got away! Looking forward to more posts.